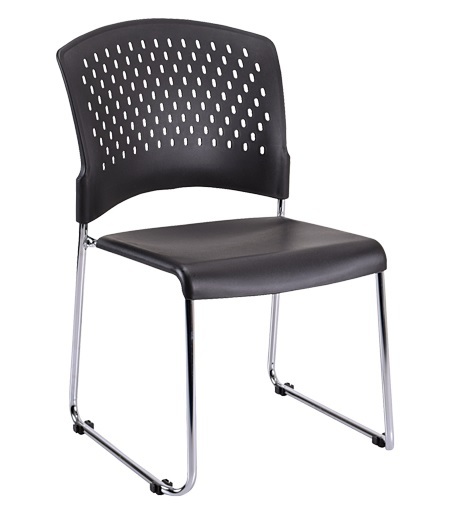 The Eurotech S4000 Stacking Chair with No Arms is a simple and sleek design that is ideal for spaces where extra room is hard to come by, such as doctor’s offices, waiting areas, and conference rooms. 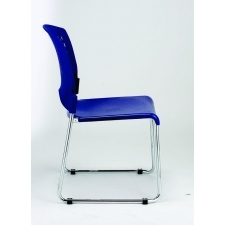 The lack of arms along with the sturdy sled base helps contribute to the space-saving design, while the molded plastic back has cutouts for increased airflow, and the steel sled base makes stacking chairs easy. 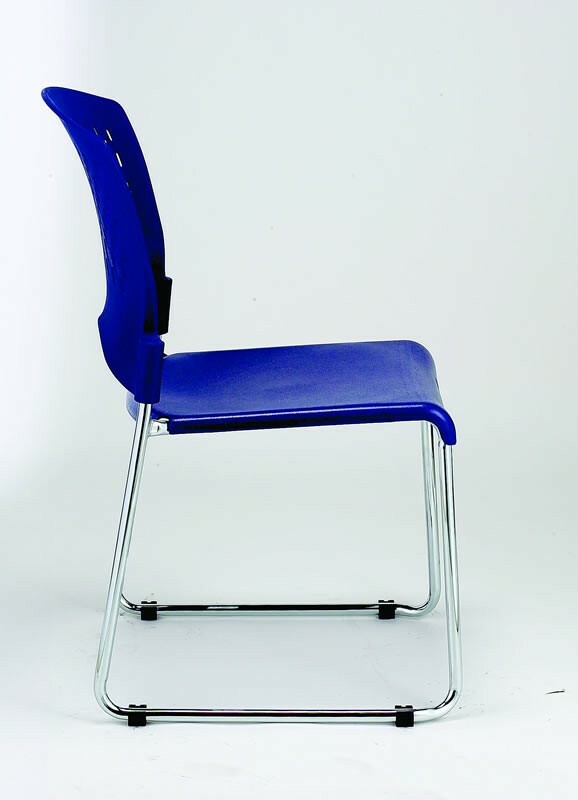 Purchased in sets of four and available in either black or navy, these chairs are the perfect solution to your seating problems.